I'm thrilled to have one of the first Map-Makers sharing her story today! 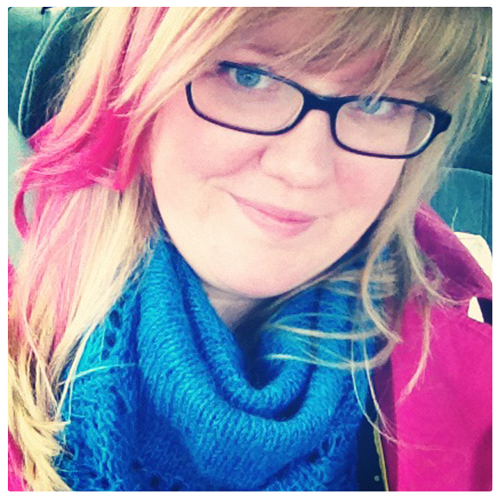 Kristine designs stories into her knitting patterns and makes one of my favorite podcasts, Yarnings. You can find her at kadyellebee.com, on ravelry as kristine, and on twitter. What's the endpoint on your map, the thing you're working towards? My goal is to publish a specific number of patterns by the end of September. I started with a longer time frame and was then encouraged (by Tara and the other Starshipers) to keep my goal manageable over a shorter time frame, with one very specific goal. This makes a lot of sense because it's easier to be specific in the map-making process when my goal was over 3 months instead of say “the rest of the year”! How is the map helping you work towards this endpoint? Making a map helped take the plans I had in my mind and make them concrete and ACTIONABLE. By putting together my (spoiler alert!) 10 mile-markers, now I can see where I am: if I take a side-trip to something shiny and new, I can see how to get back to the PLAN! Did you learn anything new about your business during the process? Working on this map reminded me how much I like having a list. I am a structured thinker and seeing my To-DO list gives me a chance to check things off. Reminds me of the Holiday Sanity class where we put together a master to do list, and that was very successful for me as well. How has this changed (or not) what a normal day or week looks like in your biz? I think that this process will help me over the next 3 months and beyond: determining my deliverables and events over a specific period of time is important. But also, it's flexible enough that I can work at my own speed any time I use the map to plan – there's no set deadlines, just what works for the specific goal at hand. I can see where I'd have a couple of maps going to define my goals. Whether you are opening an Etsy store to sell cupcakes or releasing a series of knitwear designs, map-making can help focus your plans! What tools did you use to make your map? A good pencil and a composition book help me be in a brainstormy mindset. 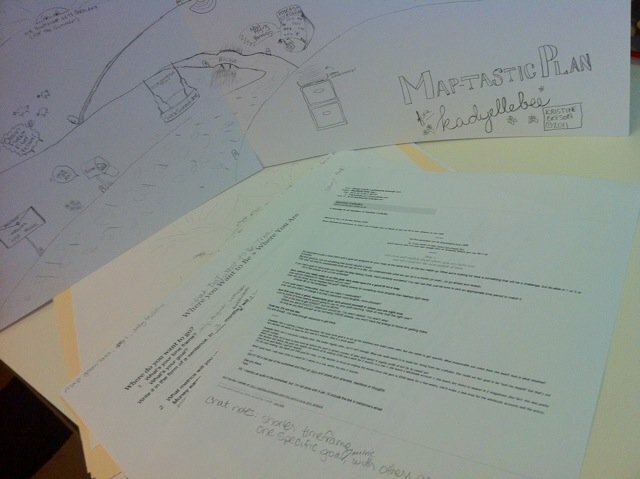 I print out each day of the map and then free-write anything I think of on the margins as I read through the steps. A lot of my lists are then transferred in a neater version onto graph paper with dates by them! I loved sketching out my map with hills and mountains just like my view is locally, giving a personal touch! If you'd like to share your map-making story or if you have questions for Kristine, just leave a comment below!